There are so many things to handle with during the time of the divorce that taxes and their implications are placed to the bottom of the list. In most cases there are assets that need to be divided up amongst the couple, and one of the ways that can be advantageous to both is to consider the after-tax cost of these assets. For example, if one of the parties is going to assume the Registered Retirement Savings Plans (RRSPs) these are at a specific value but what should be considered is the after-tax a value that will be realized. In most cases when the RRSPs are cashed in there is a tax that is placed upon these and it can be as high as 40% withholding, and adjusted to actual tax rate when filing your return. A Registered Retirement Savings Plan (RRSP) is a type of Canadian account for holding savings and investment assets. RRSPs have various tax advantages compared to investing outside of tax-preferred accounts. They were introduced in 1957 to promote savings for retirement by employees and self-employed people. Now coming to the point, a completely different scenario is the individual the keeps the family home it will retain its value in respect to tax matters because with it being the principal residence it is exempt in respect to taxes if the home is sold. Something else that often happens during a divorce is that because there are many issues to deal with the party that is keeping the RRSP may decide to cash them in. What has to be remembered is that there is a specific rule within the income tax act when it comes to the transfer of RRSPs upon a separation or divorce. It only allows the one spouse to transfer to the other spouse. Where this has to be given special consideration is if equalize station payments are involved. When a marital status is changed it is important to make sure that Canada Revenue Agency (CRA) is advised of this. One of the reasons is being is because the Canada Child benefits are based on the family income, and this means that it was based on the income of both parties during the time they were together and this will change now because of the separation or divorce. 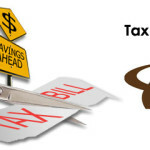 You are also going to have to make the decision as to who is going to claim the eligible dependent tax credits for the children because even if you have joint custody only one of the spouses will be able to arrogate this credit. 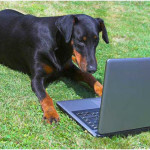 You may also be able to deduct some of your legal fees but there are restrictions as to what is involved with these. If the legal fees are applicable to having to retain counsel to collect support payments then these fees may be deductible. However on the other hand they will not be the deductible for separate ration agreements or for the settling of the agreement, such as for the splitting out the family assets. 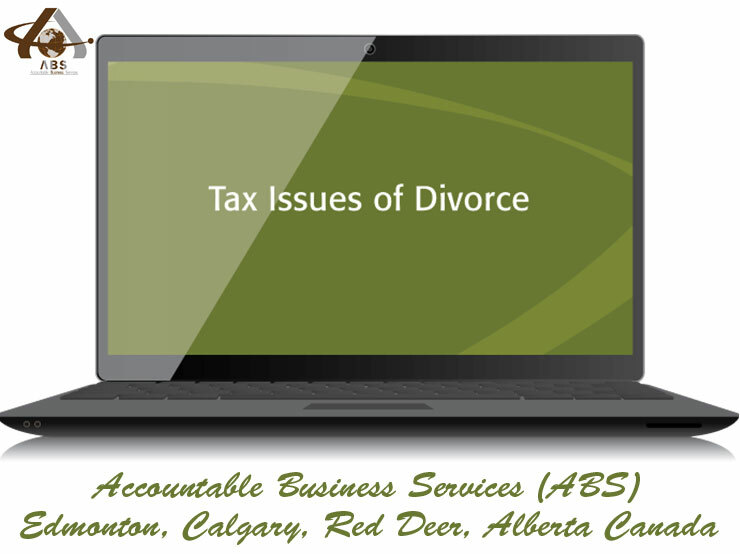 If you are in the process of going through a divorce or separation and you are dealing with the splitting of assets then your accounting expert like Accountable Business Services (ABS) will be able to assist you with giving you some good advice as to how to handle these with an optimum amount of tax lash back because of it. 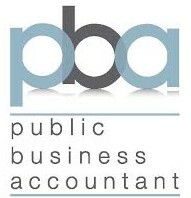 Accountable Business Services (ABS) is one of the leading Accounting and Tax Services in Alberta offers Accounting and Tax preparation services in Edmonton, Red Deer and Calgary on a very affordable rates. So feel free to Contact Us and our expert will handle all your tax issues during the divorce.